The Ballagh take on Mount Leinster Rangers in today’s Leinster final. Oulart-the-Ballagh captain Darren Nolan has lifted the lid on his team-mates ahead of the Leinster final. DARREN NOLAN WILL line out with his Oulart-the-Ballagh team-mates later today. They take on Mount Leinster Rangers in a bid to put their recent failures at this stage of the AIB club championship behind them. Before he takes to the field though, we wanted him to dish the dirt and tell us what he really thinks of his team-mates. 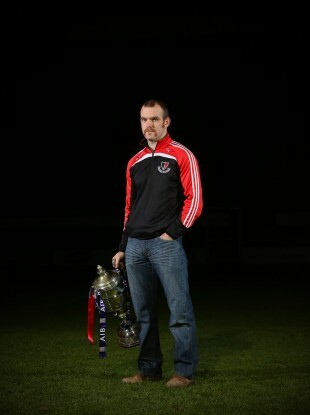 Email “Darren Nolan dishes the dirt on his Oulart-the-Ballagh team-mates”. Feedback on “Darren Nolan dishes the dirt on his Oulart-the-Ballagh team-mates”.